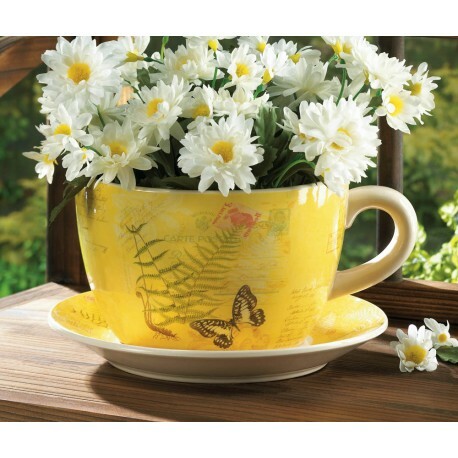 Set your favorite plant in this charming teacup planter that will bring sunny charm to your day. 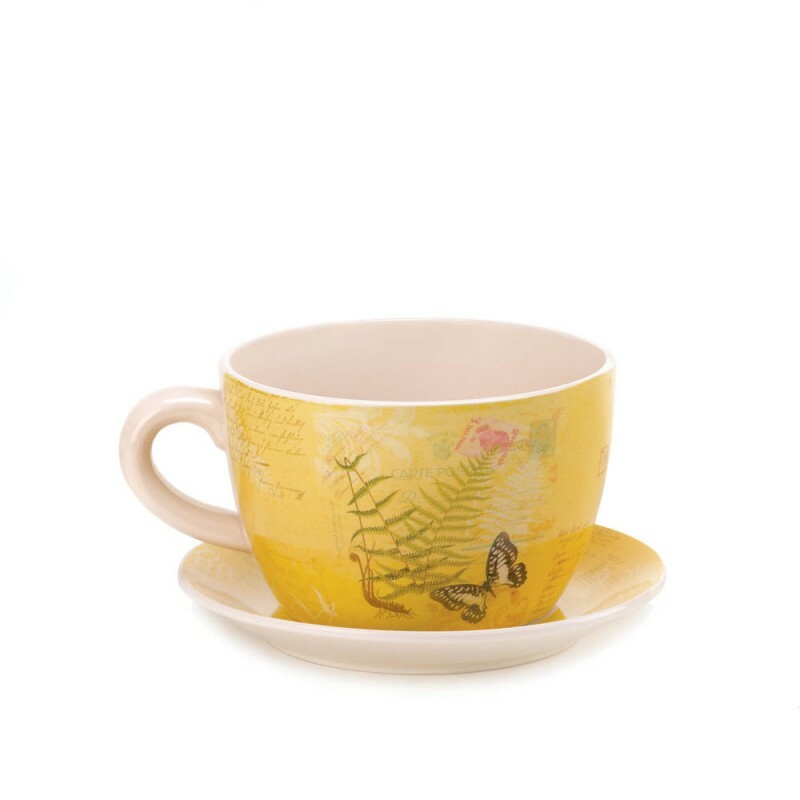 The warm yellow exterior design features travel stamps and postcard notes along with fern fronds and a pretty butterfly. plate: 9" diameter x 1 1/4" high.